Our lives are marked by occasions and celebrations; we can help you to plan and execute a stress-free event that everyone will remember. If you have a brilliant concept in mind or don’t know where to start, we have the experience, energy and capability to organise every aspect. From birthday parties, picnics to stag and hen parties, weddings, corporate lunches to team building events, we work with carefully chosen suppliers and local businesses to create an unforgettable experience for you and your guests or colleagues. It doesn’t even have to include food. We believe in absolutely personal service; one point of contact whom you know and trust to work tirelessly until the last glass is cleared. We love to cook, we love to create, we love to celebrate. So we decided we should spend all of our time doing just that! As a brother and sister team, we established Seven Mile to unite our experience and talent in cooking, teaching and event management, based on a few simple rules: good food, good atmosphere, good times. Jake’s obsession with cooking is infectious; we dare you to tell us otherwise after a Seven Mile cookery class! All you need is a kitchen and a desire to learn and we can create a half or a full day session for you to try out a new skill, a new cuisine or even just learn the basics. With no set agenda of classes, we can tailor your day completely around you; serious or fun, competitive or collaborative. It’s a great way for family and friends to spend time together and for work colleagues to get to know each other better. Cotswold Off Road Driving School is operated by GwynneSpeed who have been running a successful Rally Driving School in the area since 1994. GwynneSpeed is a market leader in providing fun, exciting, safe rally days to members of the public as well as corporate clients and is now delighted to turn it’s hand to the challenge of off-road driving. With guidance from current 4×4 competitors and instructors, our course has been designed to challenge drivers in a safe, controlled environment. All Off Road instructors have been appropriately trained and, of course, we hold full Public Liability insurance. Designed to give the “everyday” driver the opportunity to tackle near vertical ascents, descents, axle twisters, tight space negotiation. Ideal as a group activity to celebrate a birthday or stag and hen party whilst also offering an unusual backdrop for a corporate day with a difference! Gift vouchers are available to make an ideal treat for loved ones. Our specially built off road course is based around one of the stunning Cotswold Water Park lakes on the Gloucestershire Wiltshire border 5.6 miles from Cirencester. We’ve worked hard to make sure it’s not only challenging, but also picturesque. The course is a treat for the eyes as well as a challenge for your driving skills! The Gloucestershire Rally School offer a fantastic range of rally experiences, ranging from a 2 lap white-knuckle ride with one of our instructors through to one-to-one coaching for serious competitive drivers. You can explore the options below to find the format that best suits your requirments. Don't forget that we can arrange customised event days for you and your friends if you have a party of 8 or more drivers and will do our best to accommodate you on a day that is best for you. GwynneSpeed Rallying was established in 1994 by company boss and chief instructor, Andy Gwynne. Initially just a rally car preparation business, GwynneSpeed quickly evolved to become a market leader in providing Rally Experience Days. Instead of the more traditional ways of celebrating a stag or hen event - what about building your pre-nuptials around a rally event. We can tailor the details to suit your party, suggest local accommodation, transport catering and so forth. 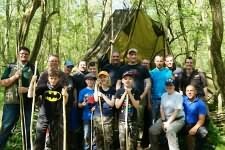 Our bushcraft courses are held in a fun and relaxing manner; there is an emphasis on learning and having a great time through practical exercises, developing your wilderness survival techniques and putting them to great use. 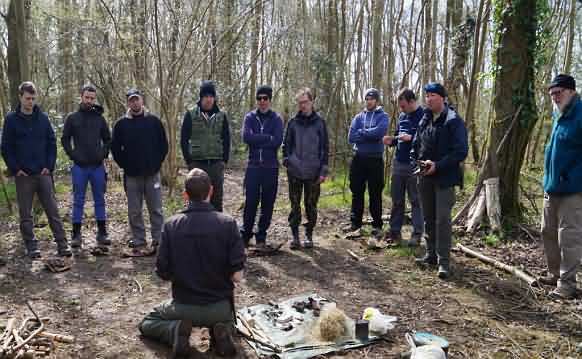 Our bushcraft experience days are delivered by experienced instructors that will share their knowledge and experiences with you, guiding you through the various aspects of bushcraft and wilderness survival. 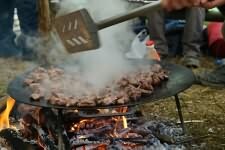 Some of the skills taught when partaking in our outdoor activities include learning how to safely light a fire (without matches) and being able to maintain it in all weather conditions, how to build a shelter that not only looks great but will keep you warm and dry and how to prepare various game such as Deer, Rabbit and Fowl alongside wilderness cooking techniques.